The apparent diameter of Jupiter varies with the Earth-Jupiter distance. Depending on the distance, the apparent angular diameter of Jupiter is between approx. 0.5 and 0.8 arcminutes. For best astrophotography results, one should pick a time when Jupiter is closest. 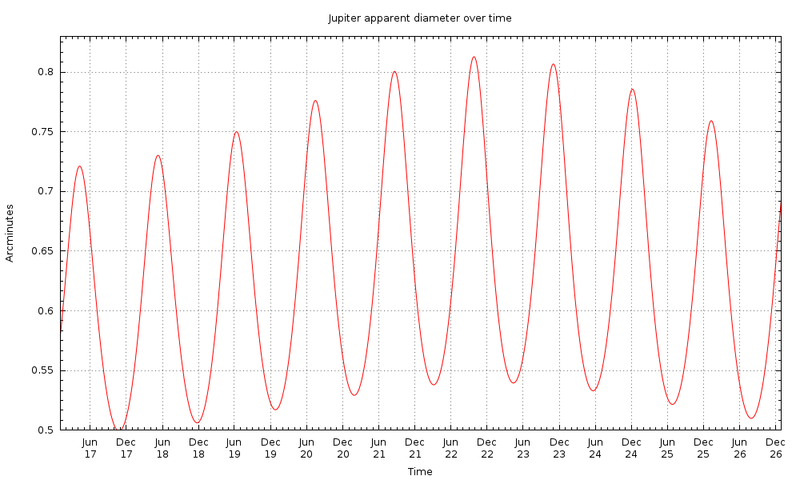 Similar to my plot of the apparent size of Venus, I wrote a short program to plot Jupiter’s apparent diameter for the time period 2017-2026 (see featured image). The apparent diameter of the Moon varies with the Earth-Moon distance. Depending on the distance, the apparent angular diameter of the Moon is between 29.4 and 33.5 arcminutes. For best astrophotography results, one should pick a time when the moon is closest. 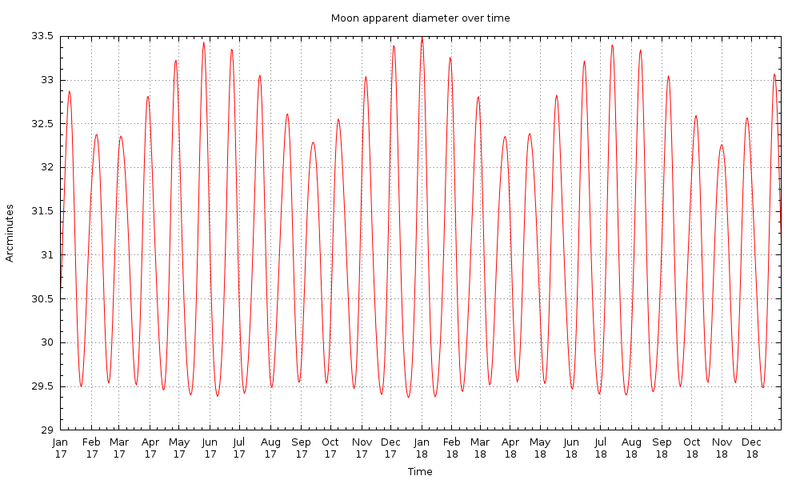 Similar to my plot of the apparent size of Venus, I wrote a short program to plot the Moon’s apparent diameter (see featured image). The apparent size of Venus varies dramatically with the Earth-Venus distance, depending on both orbits around the sun. 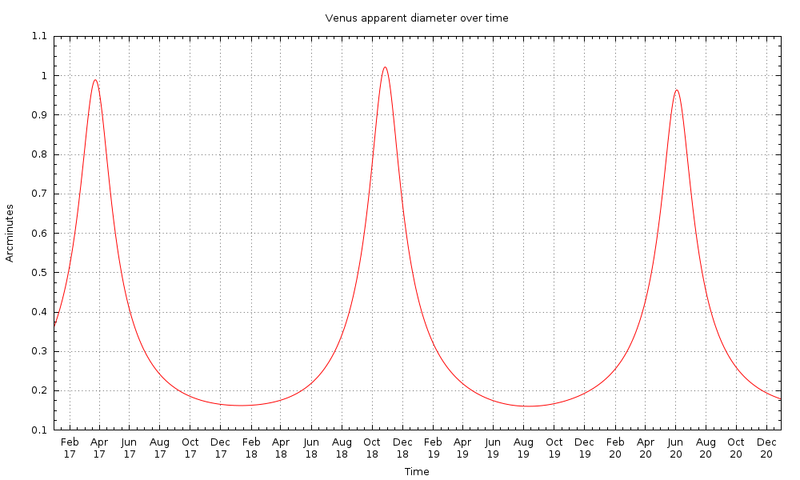 The apparent angular diameter of Venus is between 0.175 and 1 arcminutes. I will definitely try next time with my naked eyes, but if you have an entry-level telescope, you will be certainly be better able to see the crescent phase during closest approach. 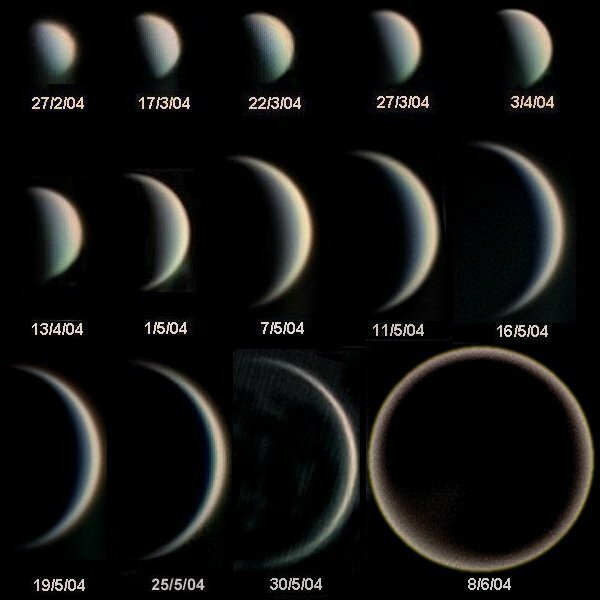 The question is, when does Venus come closest to Earth for best observation? Not finding anything on the interwebs, I wrote a quick plotting program with Python’s ephem package and gnuplot. There is nobody as powerful as someone who knows how to communicate. If you are articulate and careful, then the world opens itself up to you, and you will have an unlimited horizon of possibility.